Guide price is per person. Based on 4 people sharing for 7 nights on Half Board. Flying from selected regional airports with year round departures. Playa de la Arena is situated on the western coast of Tenerife. This modern resort started off as a sleepy fishing village and thanks to the lovely beach blossomed quickly into a popular spot for tourists looking to enjoy Tenerife’s year round sunshine whilst enjoying the peace and quiet. If you’re looking for a relaxing beach break, holidays to Playa de la Arena ticks the box. The Blue Flag awarded beach is a stretch of volcanic sand that has a seafront promenade that runs alongside with a selection of shops, bars and restaurants that are popular by day and night. 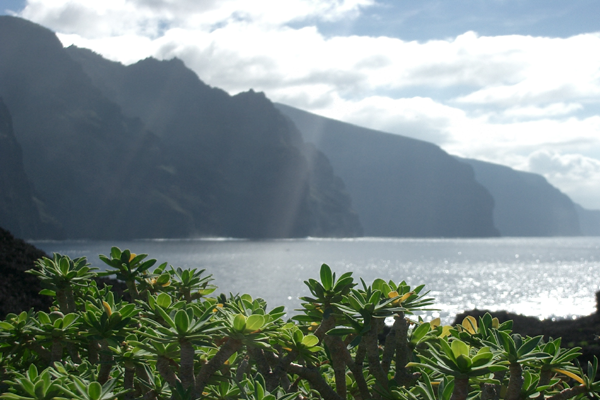 There are some wonderful views over the sea to the nearby island of La Gomera. The beach is watched over by a team of lifeguards due to the underlying current just off shore; however it is safe for bathing if swimmers keep within the flags. With a small selection of bars and restaurants in the centre, the nightlife is fairly low key and relaxing and very popular with families, however the bus and taxi service can soon whisk night owls down to the lively Playa de las Americas within around half an hour where there is a huge range of bright lights and loud music at the many music bars and nightclubs. The resort is a great base from which to explore some scenic walks along the craggy coastline of the west coast of Tenerife including the impressive cliffs at nearby Los Gigantes. And the walking trails of Teide National Park that offers dramatic volcanic scenery complete with colourful wild flowers. Boat trips to watch whales and dolphins off shore are a fantastic part of any Playa de la Arena holiday and are highly recommended. For a good choice of holidays to Playa de la Arena, have a browse around our site or call one of our friendly travel experts today who will aim to find you a great deal.